← March 15th is nearing! 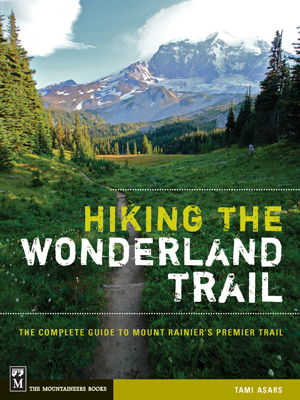 Feel free to blame me and the other media for telling hiker friends about the beauty of the Wonderland Trail. I’m sorry, I just can’t help myself. With misty-eyed, make you weep, sheer scenic beauty, the word is spreading and folks, like you, want to get out there and see it for yourselves. This ambition has resulted in a record 50% increase in reservation requests to hike the WT for 2013! If you are one of those on the reservation request list, please be patient with the park as they go through and manually (yes, you read that correctly) input all of those requests. In the first 17 days, the poor Park Service received a whopping 1450+ reservation requests and as I write this, they continue to pour in. Remember, if you don’t get your optimal itinerary, you can utilize the first-come, first-served permit system the day before or day-of your trip to try to make changes. Pages 50-51 in my book have more information about getting your optimal itinerary if you need to grab a quick refresher. While you wait to hear back, keep up your training, dig out your gear, and try not to get too antsy anticipating what is sure to be a fantastic journey!